TAMPA, Fla. (AP) -- One last victory for David Greene, the winningest quarterback in NCAA history. No. 8 Georgia closed the Greene era with a 24-21 win over No. 16 Wisconsin in Saturday's Outback Bowl. Greene threw for 264 yards and two touchdowns in his last game for the Bulldogs (10-2), continuing his assault on the Southeastern Conference record book and adding victory No. 42 to his NCAA mark. The senior from Snellville, Ga., has started every game since Mark Richt took over as Georgia's coach in 2001. He surpassed Peyton Manning's SEC and NCAA mark for career wins (39) this season and finished 17-1 against nonconference opponents. Greene completed 19 of 38 passes, but was also intercepted twice after only throwing two during the regular season. Wisconsin's Andy Crooks returned the second pick 11 yards for a touchdown, and John Stocco's 2-point conversion pass to Jonathan Orr cut Georgia's lead to three points with 4:13 to go. The Bulldogs didn't give the Badgers (9-3) a chance to get closer, driving to the Wisconsin 5 before taking a knee on successive plays to run out the clock. Thomas Brown gained 49 of his 111 yards rushing on the final drive. It was the third straight appearance in a New Year's Day game for Georgia, which was ranked as high as No. 3 before falling out of contention for a BCS berth because of losses to Tennessee and Auburn. The Bulldogs improved to 42-10 in four years under Richt, the second-best run for a Georgia senior class behind the 43-4-1 record compiled while winning a national championship and three straight SEC titles in the early 1980s. The victory gave Georgia at least 10 wins for the third straight season, one shy of the school record set from 1980-83. The Bulldogs were 13-1 with a No. 3 ranking in 2002 and finished 11-3 with a No. 7 ranking in 2003. Wisconsin won its first nine games to climb into national title contention, but stumbled down the stretch with losses to Michigan State and Iowa by a combined 79-21. The second loss cost the Badgers a share of the Big Ten title and a spot in the Rose Bowl, which they've won three times under Alvarez. 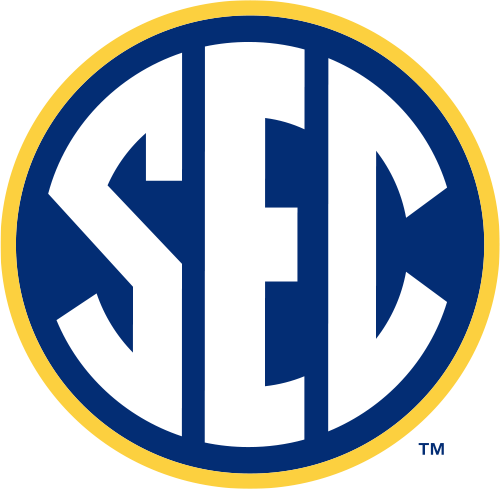 The coach's 7-3 record in bowl games gives him one of the best winning percentages in college football history, but all three of the losses have come against SEC opponents, including 33-6 to Georgia in the 1998 Outback. Greene began the game by directing a 78-yard field goal drive and threw a 19-yard TD pass to Fred Gibson for a 10-6 lead midway through the second quarter. He zoomed past Manning's league record for total offense on his first completion, a 31-yard throw to Leonard Pope that led to Brandon Coutu's 20-yard field goal. Wisconsin benefited early from Brown's fumble that set up a field goal and a short Georgia punt that led to Mike Allen's second field goal for a 6-3 lead. A holding penalty wiped a long interception return to the Georgia 15, depriving the Badgers an opportunity to build on the advantage. Georgia threatened to blow it open early in the second half, scoring on Greene's 24-yard pass to Jeremy Thomas and Brown's 29-yard run that made it 24-6. But just when it looked like Wisconsin might be trounced, the Badgers rallied behind the passing of Stocco, who threw a 19-yard pass to Darrin Charles to trim Wisconsin's deficit to 24-13. The Badgers squandered two opportunities to pull closer when Allen missed a 37-yard field goal and Georgia's David Pollack sacked Stocco, forcing a fumble after Wisconsin drove to first-and-goal at the Bulldogs 5.